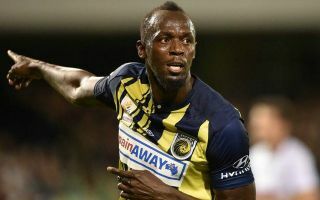 The world knows him as the fastest man on Earth, but now Usain Bolt wants to be known as a professional football player. Unfortunately, in two weeks, that may not be the case. According to Bolt, he’s giving himself two weeks for the right opportunity to present itself. After that, though, he will be done with football for good. Bolt told Omnisport that he’s “got a lot of offers from a lot of other clubs out there.” However, by the end of November, he’ll either go to another team or quit football. Bolt is a nine-time Olympic gold medalist, winning the 100 m, 200 m and the 3×100 m relay at the 2008, 2012, and 2017 Olympic Games. He is also an eleven-time World Champion, consecutively winning the 100 m, 200 m, and 4×100 m relays from 2009 to 2015 (he did, however, have a false start in the 100 meters in 2011). Bolt is the most successful athlete of the World Championships. Bolt has also trained alongside not just the Mariners, but with Norwegian team Stromsgodset and German Borussia Dortmund. During his soccer career after retiring from sprinting in 2017, Bolt suggested that he’s had talks with Manchester United, the team he would like to play for. There has been some criticism towards Bolt and his potential football career. The Perth Glory forward Andy Keogh told Off the Ball that Bolt is “not going to make it.” Keogh went on to say that he finds Bolt’s presence in the A-League to be a “little bit of a kick in the teeth to the professionals” there. “If there’s someone who genuinely thinks he’d be a good football addition, I don’t think they should be in a position to make those calls,” Keogh said. When asked about the criticism from Keogh, Bolt says he’s received support from players Paul Pogba from Manchester United, and Raheem Sterling from Manchester City. “People are going to say what they want, I’m used to this. I used to do track and field, people used to think badly of me when I started and I proved them wrong every year,” Bolt told Sky Sports. Unless different offers hit the table, his football career that he’s wanted may not come to light.